Qingdao SOSN Machinery Co., Ltd - Qingdao SOSN Machinery Co., Ltd. Located in the beautiful coastal city- Qingdao. 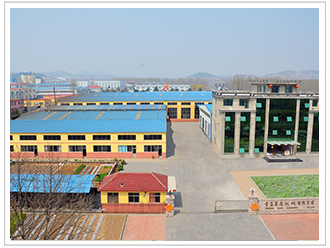 Qingdao SOSN Machinery Co., Ltd is a professional manufacturer of woodworking machinery, and have been in this line for more than 30 years. SOSN'S major product is precision panel saw,edge banding machine, CNC Router,etc. Time has tested the quality of our products and the good credit of our company, that's why we have more than 70 agents all over China,36 agents around world, and more and more foreign customers are coming to us. Other woodworking machines like vacuum membrane press machine, wood Sanding Machine, drilling machine, thicknesser and planer ,etc, are also popular with customers from Southeast, the Middle East, the whole America, Europe, more than 80 countries and regions. As a fast growing enterprise, SOSN have the whole world in view, and eager to be better and better. We are working hard to provide our customers more perfect machineries along with our technical support and after sale service. 2015, we have our joint-venture, Holzer Company for computer saw and edge banding production. We are better and better.